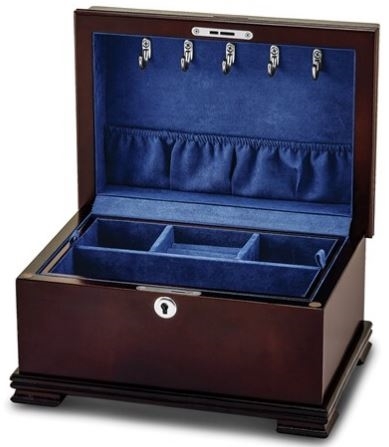 A beautifully designed fully locking wooden jewelry box with removable tray. Bubinga veneer gives it a sleek look. 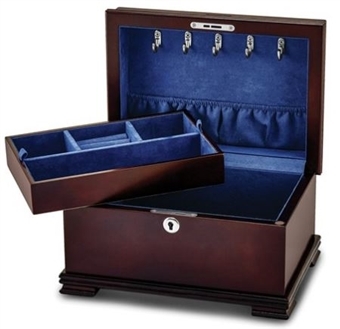 This is a wonderful jewelry box for smaller jewelry collections. This box is handmade, with a removable tray revealing deep storage. The fully locking design ensures the utmost security. 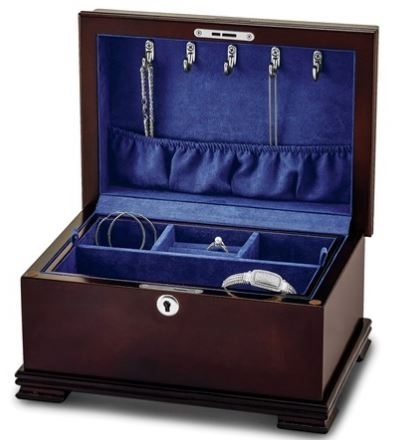 The tray contains ring rolls, multiple compartments, and 5 necklace hooks with a necklace pouch. This elegant jewelry chest measures 11 1/4" wide x 7 3/4" deep x 6 1/4" high. 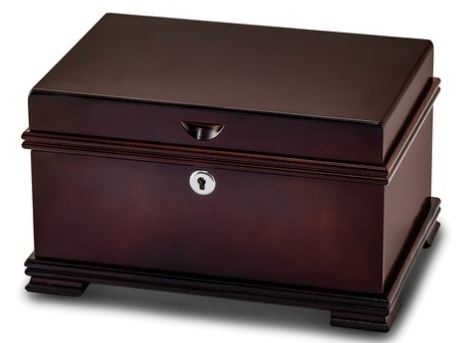 ChasingTreasure.com is an authorized dealer of all Quality Gold jewelry boxes and giftware. Quality Gold. is an importer and wholesaler of custom crafted giftware and jewelry related products, in business since 1978.